A little while back, I had the pleasure of spending a night at the Archer Hotel Austin at Domain Northside. The boutique hotel has eight floors with 171 rooms described as "rustic luxe" style, including several unique suites like the Archer Den that I stayed in. 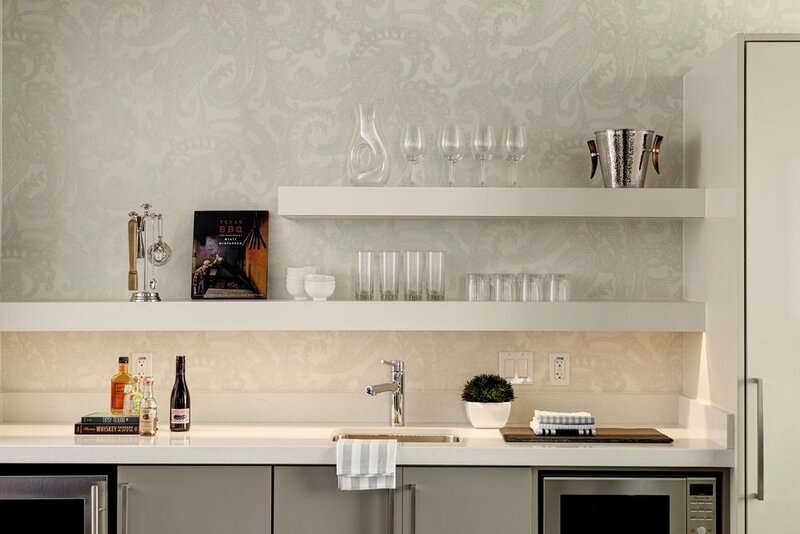 Some rooms of note have standout features such as private balconies and free-standing tubs. For dining, there is one restaurant on property, Second Bar + Kitchen, run by award-winning Chef David Bull. For spa services, while they do not have an onsite spa, they do partner with nearby Viva Day Spa to cover any guest's needs. While I wasn't blessed with sunny weather during my visit, I still had a lovely stay in the Archer Den room. The Archer Den is a 760 square foot one bedroom suite. 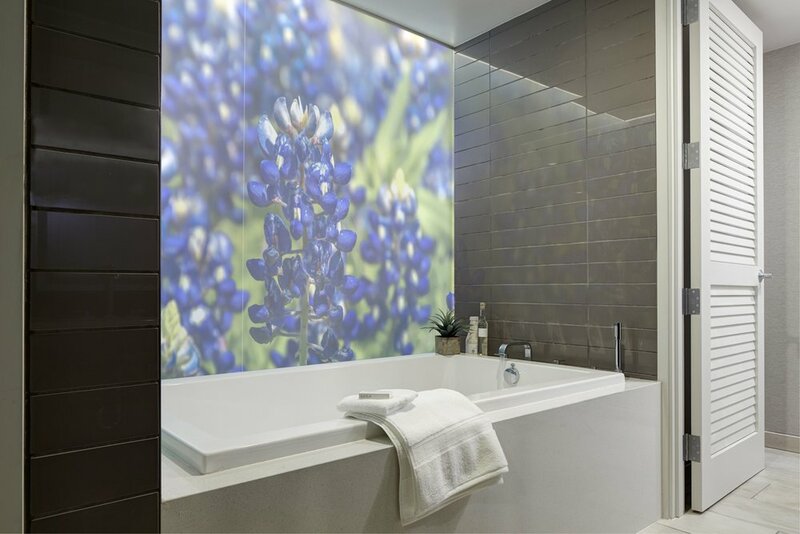 The room has a rustic chic feel and is decorated with bluebonnet photo decor, as you can see in the photo below. Some primary features of the room include the separate sitting area, panoramic balcony with a fireplace, and the luxury bathroom complete with Malin+Goetz amenities. I loved how the room even came stocked with games like Jenga (and Archer branded playing cards in our welcome basket) so that we were able to enjoy ourselves in our room as it rained outside. Possibly my favorite thing about Archer Hotels are the His and Hers slippers they provide upon arrival, yours to bring home with you after your stay. The slippers feature lips on one pair and mustaches on the other, and have become a signature of Archer Hotels. If you ever visit their other properties, such as New York City and Napa, you can find them there too. Most other properties just have normal branded slippers that you think nothing of, but this is just one way Archer sets itself apart and raises its hip factor. One feature to note about the Archer Den was the private balcony's wraparound views of Domain Northside and of the hotel, including their Texas-themed pool and deck. In the summer, I imagine the pool is a great place to cool down and relax. 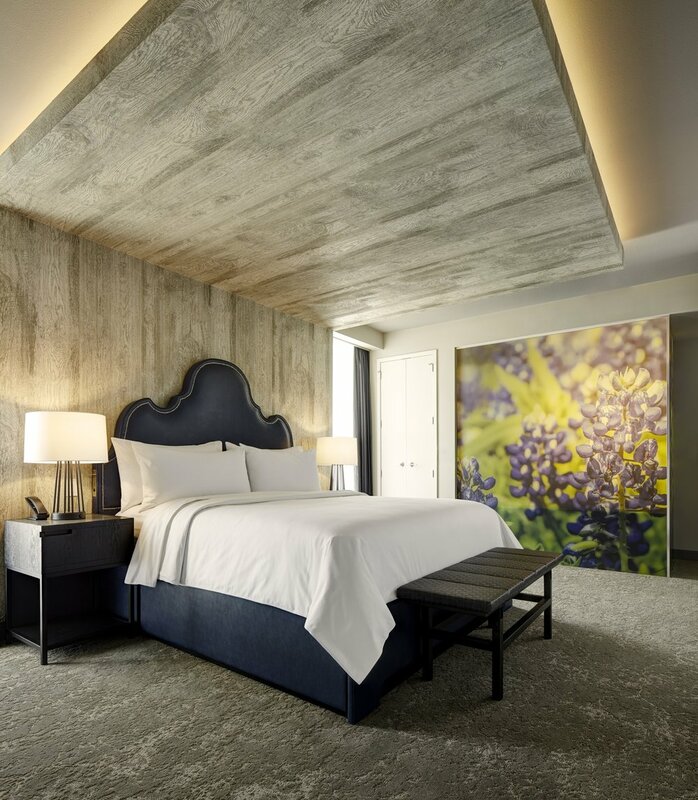 With their location conveniently centered in Domain Northside, Archer Hotel Austin is the perfect place for an Austin getaway weekend, or even a staycation for locals. Between The Domain and Northside, there are plenty of bars and restaurants to choose from within walking distance, including Archer's own Second Bar + Kitchen. For later in the night, you can hit North Austin's new version of 6th Street, Rock Rose, filled with bars and even a nightclub. If you're looking for things to do near Archer, I recommend bowling at Punch Bowl Social, eating at Culinary Dropout, taking in a movie at the luxury iPic Theaters, or going nearby for some golf practice and Happy Hour at TopGolf. North Austin is quickly becoming one of the trendiest areas of Austin, so Archer Hotel is prominently placed in a location that's sure to keep growing better and better in the future. If you'd like to see a bit more of the property, see below for a gallery of photos, courtesy of Archer Hotel Austin. Disclaimer: I was hosted on behalf of Archer Hotel Austin. As always, all opinions are my own.